“Hey Josh…. here is Jay with his PRINT!! He loved it!!! See the resemblance? Ha! Saul is an accomplished digital artist. He is also our client here at Memento. So when Saul’s friend Jay got married down in Los Angeles, it was natural to create a great, original artwork as a gift. 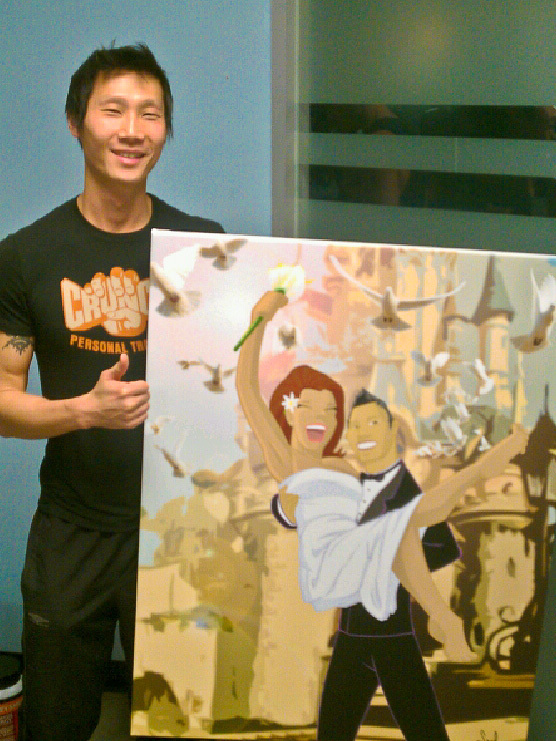 The groom liked the canvas so much, he sent a photo of himself with the final product. These canvases always seem to be a hit. And especially with Saul’s beautiful work on them.